Martha Stewart, you really worked it. 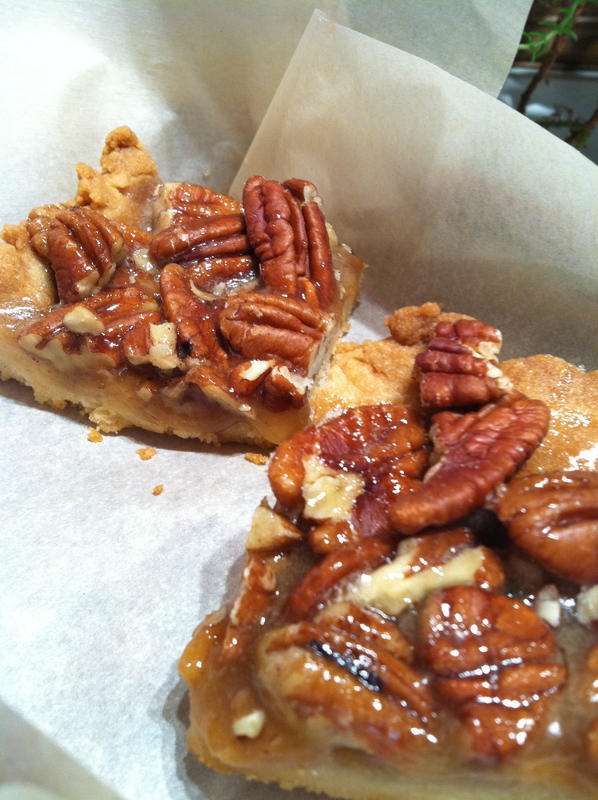 Sometimes I am put off by your recipes, not having white truffle oil, freshly ground nutmeg, or a cornish game hen on hand, but these pecan pie bars are amazing. I’d say hats off to you, but it just snowed here, and I’d really like to keep mine on.